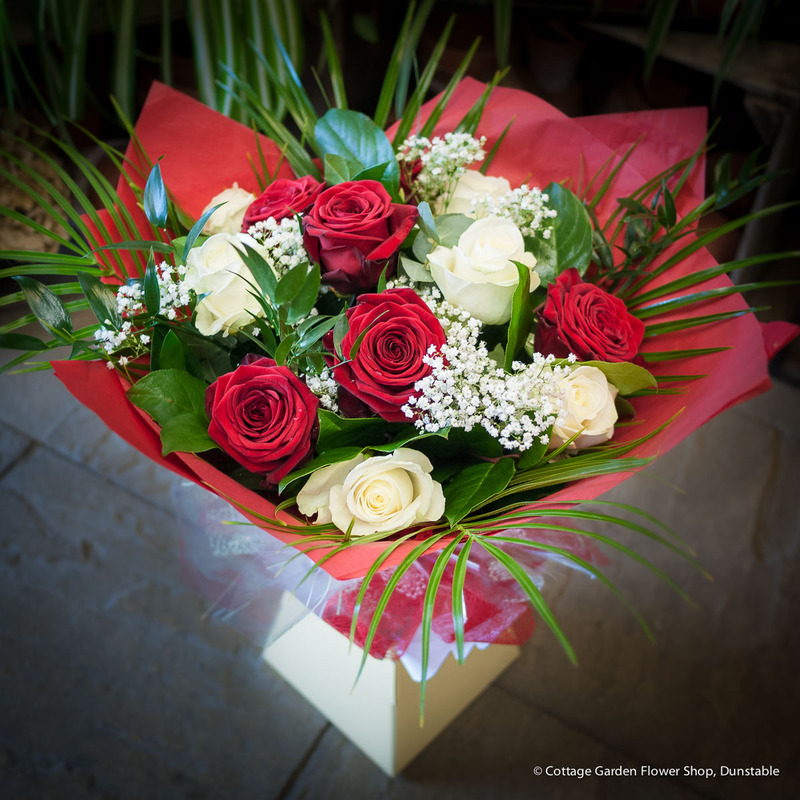 A beautiful mix of 6 large headed red roses and 6 large headed white roses. Hand tied with vibrant green foliage, gift wrapped and hand delivered in water for freshness. Enter ‘None’ if no message is required, 150 characters max.